To learn Everything You Need To Know About Unions, we are reprinting excerpts from two stories, first, "Declining Union Membership and Attacks on Workers: Pages from the Neoliberal Playbook," by Robert Pollin, and second, "Silver Linings in the 2012 Union Membership Figures?," by John Logan, both from at Truth-out.org. "Last week, the U.S. Labor Department reported that the percentage of U.S. workers who were union members in 2012 had fallen to a 97-year low of 11.3 percent of the workforce. The total number of union members fell by 400,000 workers relative to 2011. In 2011, the unionization rate was 11.8 percent of the workforce. "The problem with the Chamber of Commerce view is that it is completely contradicted by the evidence, which is presented two paragraphs down in the same New York Times story. That is, the U.S. Labor Department estimates that, among full time workers, the average annual earnings of union members was $49,000, while that for comparable non-union workers was $38,600. That is, if you are a union member, you will be earning about 27 percent more than a non-union member doing a comparable job. That sounds like a very impressive “value proposition” for becoming a union member. "But that does then raise the question: why is the unionization rate falling when being a union member does convey significant benefits to workers? The short-term answer is straightforward: that business interests and Republican politicians have advanced a vicious campaign to destroy unions. As the Times story notes, union membership fell by 13 percent in Wisconsin and by 18 percent in Indiana last year. These declines are tied to the fact that Wisconsin passed a law in 2011 curbing the collective bargaining rights of many public employees, while Indiana enacted a right-to-work law, which enables workers to receive the benefits of union contracts without having to join the union. Michigan also became a right-to-work state in December 2012, sneaking through the legislation during an end-of-year lame duck session. "The longer-term decline in unionization has more than one explanation, as the post by Stephanie Luce on this site makes clear. 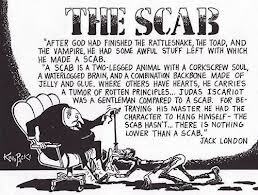 Unions themselves are not above blame, at times being corrupt, hidebound, sexist, racist, and anti-immigrant. But we also need to keep in mind that unions have been up against very powerful forces—in particular, the emergence of neoliberalism as the dominant framework on which economic policies are shaped, both by Democratic policymakers and Republicans..."
"The trend in average wages since the early 1970s suggests the seriousness of this problem. In 2011 the average non-supervisory worker in the United States earned $19.47 an hour (in 2011 dollars). 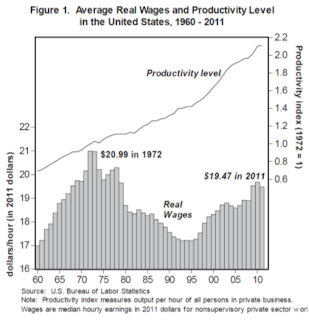 This figure is 7 percent below the 1972 peak of $20.99 per hour (also in 2011 dollars). The long-term pattern for health and other benefits has broadly followed that for wages, so that total compensation for U.S. workers—including both wages and benefits—has stagnated for 40 years. But this is only half the story. While wages fell, average labor productivity in the United States rose by 111 percent. That is, the total basket of goods and services that average U.S. workers produced in 2011 is more than double what they could manage in 1972. Their reward has been 7 percent pay cut. 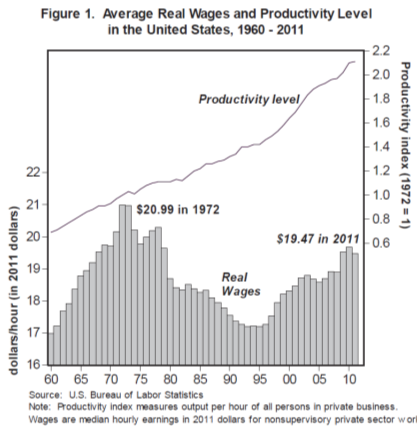 Figure 1 portrays this movement for average wages and productivity vividly. "...(W)hy is the unionization rate falling when being a union member does convey significant benefits to workers? The short-term answer is straightforward: that business interests and Republican politicians have advanced a vicious campaign to destroy unions. As the Times story notes, union membership fell by 13 percent in Wisconsin and by 18 percent in Indiana last year. These declines are tied to the fact that Wisconsin passed a law in 2011 curbing the collective bargaining rights of many public employees, while Indiana enacted a right-to-work law, which enables workers to receive the benefits of union contracts without having to join the union. Michigan also became a right-to-work state in December 2012, sneaking through the legislation during an end-of-year lame duck session. "The longer-term decline in unionization has more than one explanation, as the post by Stephanie Luce on this site makes clear. 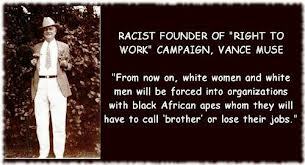 Unions themselves are not above blame, at times being corrupt, hidebound, sexist, racist, and anti-immigrant. But we also need to keep in mind that unions have been up against very powerful forces—in particular, the emergence of neoliberalism as the dominant framework on which economic policies are shaped, both by Democratic policymakers and Republicans. "...(T)he main features of neoliberalism include macroeconomic policies focused on maintaining low inflation rather than full employment; reducing the public sector, including welfare programs; eliminating barriers to international trade; deregulating financial markets; and eliminating or weakening pro-worker labor laws. We saw a good example of these priorities in action last Friday, when an appeals court overturned President Obama’s recess appointments to the National Labor Relations Board, thereby obstructing the capacity of the Board to function (as Rose Ann DeMoro describes well here). In short, neoliberalism is a policy framework designed to deliver benefits to Wall Street and global capitalists. Unions are attacked when they get in the way of this agenda. That has been the reality now since Ronald Reagan took office in 1981, and as one of his first acts in office, fired the U.S. air traffic controllers when they struck to win better working conditions." "One of the most worrying aspects of the BLS membership figures was the dramatic decline in unionization in Wisconsin (with 46,000 fewer union members than last year) and Indiana (56,000 fewer members), both states where Republicans have enacted antiunion laws. Michigan followed Indiana's example, enacting right-to-work legislation in December 2012, and the former union stronghold will likely experience a similar decline in membership. "Worse still, the right-wing assault on labor rights is not even close to having run its course. This year will almost certainly see efforts to enact right-to-work legislation in several battleground states, including Ohio, Pennsylvania, Wisconsin and Maine, while Iowa and North Carolina (which has the dead lowest union density in the country) are considering enshrining right-to-work legislation in the state constitutions. Conservative lawmakers have introduced 'paycheck protection' legislation - which prohibits the use of dues money for political activities, effectively undermining unions' ability to participate in state politics - in Kansas and Missouri, with Florida and Pennsylvania next on their list. One Missouri Chamber of Commerce lobbyist explained that he needed the paycheck legislation "so we can get rid of public sector unions." Several other states - including Kansas, Arizona, Iowa and Indiana - are considering bills attacking automatic dues check off. And the list of antiunion bills goes on. In short, just like the two previous years, 2013 promises to be a tough year in the statehouses. 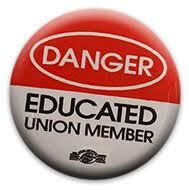 "But the BLS union membership figures are arguably even worse than the numbers suggest. 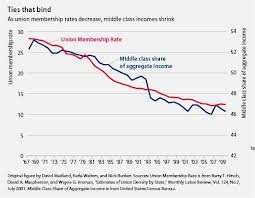 If current rates of decline continue, private sector union membership could reach around 2 percent within a decade, and the surviving unions would have little capacity to help the struggles of workers like those at Walmart or IKEA. And there's no iron law that says membership must decline by only half a percent per year. 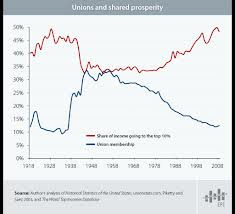 We could reach a point quite soon when unions are so weak politically and economically that membership simply falls off the edge of the cliff. Republican lawmakers and their billionaire allies like Adelson and the Koch Brothers smell blood, and they would like to reach that point sooner rather than later. "Herein lies unions' problem. The right would do almost anything to kill them off, but since the 1970s, Democrats have been remarkably timid when it comes to defending them. President Obama is no exception. Unions played a critical role in his victories in 2008 and 2012 - when they were instrumental in helping him win in Ohio, Wisconsin and Nevada - but have gotten precious little in return, except perhaps recess appointments to the National Labor Relations Board. 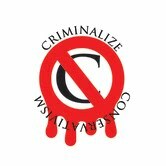 Last week, in a ruling the New Yorker correctly labeled a "judicial atrocity," the D.C. Circuit Court ruled the recess appointments unconstitutional. The administration "strongly" opposes the judgment - which calls into question 9 decades of recess appointments - and the Supreme Court will likely determine the fate of the Obama NLRB and with it every decision that board has made in the past 12 months. "In the meantime, the Circuit Court decision has emboldened even further the GOP and its right-wing allies to attack the NLRB, although after two years of continuous assaults, it is doubtful they needed any further encouragement. Several Republicans members of Congress have insisted that the two Democratic members of the board appointed by recess should, in the words of Senator Lamar Alexander, "pack their bags and go home." Others state that the board must cease its work immediately. The Wall Street Journal editorialized that if they refuse to resign, "Congress should stop funding the NLRB as soon as the continuing spending resolution expires in March." Listening to their hyperbolic rhetoric one could easily forget that the board, now hemmed in by court decisions on most major issues, arguably has less ability to influence labor policy today than at any previous time in its 78-year history. "In response to these unprecedented attacks at the state and federal levels, President Obama has done very little. He has largely failed to use the bully pulpit of his office to support labor's cause. He made no mention, for example, of the positive contribution of unions in his otherwise progressive inaugural speech. Contrast this with Governor Jerry Brown's "state of the state" speech in California lavishing praise on unions for their support in the 2012 election: "I salute the unions - their members and their leaders. You showed what ordinary people can do when they are united and organized." 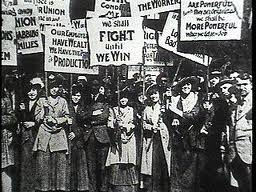 "There's still time for Obama to act, but it is quickly running out for both him and the unions. Tens of millions of nonunion workers would like union representation, but their current chances of getting it are about as high as their chances of winning big at one of Sheldon Adelson's casinos. President Obama might represent their last best hope." 2013 marks the beginning of the second term of the Obama Administration, and unless the GOP capos stall the economic recovery with the trappings of the "Sequestering," and the automatic fall into another Conservative-caused recession - or potential depression - all signs point to a resurging economy. Wall Street does well under Democratic administrations as we all know, and their may be no more auspicious time than now to get the unions off to a fast start. Corporations are not going to want to miss out on a profitable recovery, and will bend more in the face of union strikes since they won't be able to plead hardship; we already see signs of union organization by the union, Unite Here!, in organizing the most recalcitrant of hotels; Walmart employees are starting to show some intestinal fortitude in dealing with the owners; and a trend towards the decreasing representation of the GOP in the gerrymandered Congress, along with a trend that is already drawing the battle lines in the States, all point to a recovery by unions that can help erase decades of obstruction by the criminal elements in our political system - the American Conservatives.